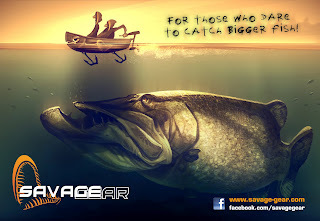 The new Savage Gear 2012 catalogue is now available to view here. The 2012 catalogue is packed with new gear, and the quantity of the products as well as the amount of useful info and awesome pictures of catches will blow you away. Among the many new products you will find an array of new luggage, rods, and loads of new innovative lures such as the Sandeel Slug, Cutbaits, and of course the radical Soft 4Play family! As usual you can buy direct from Glasgow Angling Centre but if you don't see what you want online or in the shop give us a call or email and we can soon get it for you!